Matter is anything that occupies space and has mass. It is made up of atoms of different elements. Elements that occur naturally have unique qualities that allow them to combine in various ways to create compounds or molecules. Atoms, which consist of protons, neutrons, and electrons, are the smallest units of an element that retain all of the properties of that element. Electrons can be donated or shared between atoms to create bonds, including ionic, covalent, and hydrogen bonds. The pH of a solution is a measure of the concentration of hydrogen ions in the solution. Living things are carbon-based because carbon plays such a prominent role in the chemistry of living things. A cell is the smallest unit of life. Most cells are so small that they cannot be viewed with the naked eye. The unified cell theory states that all organisms are composed of one or more cells, the cell is the basic unit of life, and new cells arise from existing cells. Each cell runs on the chemical energy found mainly in carbohydrate molecules (food), and the majority of these molecules are produced by one process: photosynthesis. Through photosynthesis, certain organisms convert solar energy (sunlight) into chemical energy, which is then used to build carbohydrate molecules. Directly or indirectly, the process of photosynthesis provides most of the energy required by living things on earth. Photosynthesis also results in the release of oxygen into the atmosphere. In short, to eat and breathe, humans depend almost entirely on the organisms that carry out photosynthesis. 1. You analyze a sample of carbon and determine that 6% of the carbon atoms in your sample have a mass number (atomic mass) greater than 12, (12 is the normal atomic mass of carbon). Based on these results, which of the following can you reasonably conclude? 3. The atomic number for the element fluorine is 9 and its mass number is 19. How many neutrons does a normal atom of fluorine have? 4. Which one of the following is not one of the four major classes of organic compounds? 5. You are working as an astrobiologist for NASA and are asked to analyze the first ever samples returned to Earth from Mars. How would you recognize if organic molecules were present in the samples? 6. A micro-organism is viewed through a microscope and is determined to be made of a single cell that lacks organelles. From this information, which of the following can you conclude? 7. Which one of the following terms describes the complete set of chemical reactions that occur within cells? 8. Which one of the following is most strongly associated with kinetic energy? 9. Which one of the following would help remove more CO2 from the atmosphere? 10. Water is essential to life because it has many special properties. Which one of the following is a special property of water? C. It easily heats up. Figure 1. 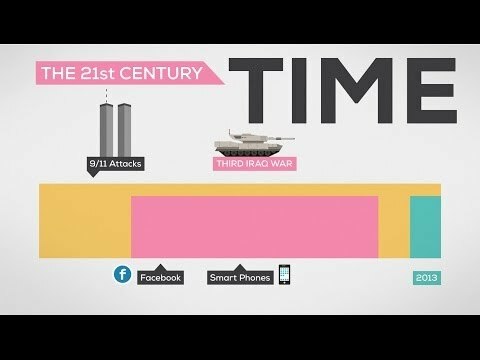 A video that provides some perspective about time, history, life, the universe, and everything. CK12. (2014). Biology. Retrieved from http://www.ck12.org/user%3AZ3JlZ29yLmRpZXRlcmxlQGhvcml6b25jbGMub3Jn/book/CK-12-Biology/r1/. Available under Creative Commons Attribution-NonCommercial 3.0 Unported License. (CC BY-NC 3.0). Modified from Original. CK12. (2014). Photosynthesis. Retrieved from http://www.ck12.org/section/Photosynthesis-%3A%3Aof%3A%3A-MS-Cell-Functions-%3A%3Aof%3A%3A-CK-12-Life-Science-For-Middle-School/. Available under Creative Commons Attribution-NonCommercial 3.0 Unported License. (CC BY-NC 3.0). Modified from Original. OpenStax College. (2013). Concepts of biology. Retrieved from http://cnx.org/contents/b3c1e1d2-839c-42b0-a314-e119a8aafbdd@8.10. OpenStax CNX. Available under Creative Commons Attribution License License 3.0 (CC BY 3.0). Modified from Original. Page attribution: Essentials of Environmental Science by Kamala Doršner is licensed under CC BY 4.0. Modified from the original with help from Alexandra Geddes. “Review Questions” is licensed under CC BY 4.0 by Matthew R. Fisher.